Welcome to Keeble Gateway Academy! Our brand-new school will open in September 2019, initially for Nursery and Reception children. Keeble Gateway Academy is part of Elevate Multi Academy Trust and I am incredibly excited to have been appointed Executive Headteacher of the new school. 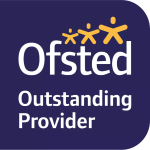 I am currently headteacher at Knayton C of E Academy and have worked closely with my dedicated team to ensure that all aspects of Knayton practice are outstanding (OFSTED and SIAMs, 2017). I am now looking forward to ensuring that standards at Keeble Gateway Academy are equally high and the school stands out right from the beginning. The new school will be a place where children feel safe, happy and valued and are able to achieve their absolute potential. Learning will be engaging and inspiring and we will have exceptionally high expectations for our children in terms of their academic achievements as well as personal, social and emotional development. I plan to share my vision for the school over the coming months, through our Section 10 consultation launch and on social media. Please follow our Facebook and Twitter pages to keep up to date with our pre-opening progress. If you have any questions about the school or would like to arrange a meeting to discuss a place for your child, please contact me on headteacher@keeblegatewayacademy.org . I look forward to hearing from anyone interested in learning more about our amazing new school! © 2019 Keeble Gateway Academy.